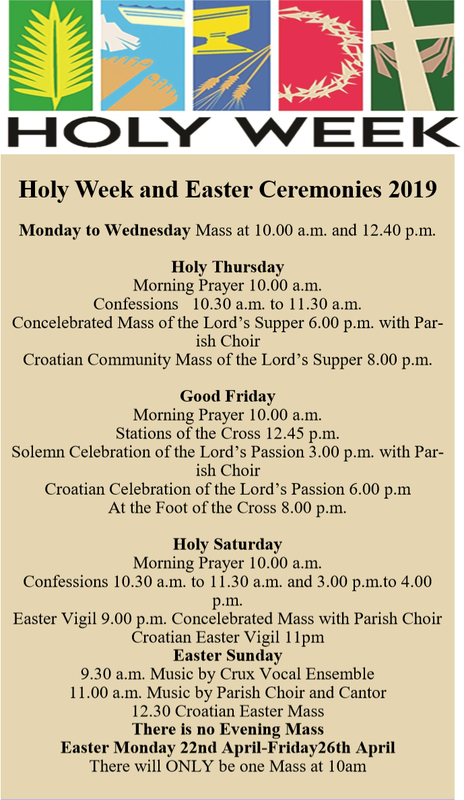 Holy Week and Easter Ceremonies 2019. We’ve come to that time of the year when we spend some time looking back, with gratitude and a hint of regret perhaps, but also looking forward with some apprehension perhaps but also with hope and a belief that things can indeed be better—for ourselves, our families, our church, and our society. Looking back at the life of our faith community here in Haddington Road, we do indeed have things to be grateful for. Although we have not been immune to the social forces of secularism and a growing religious scepticism in our society, our community has remained stable in numbers, with about 13% of our area believing and belonging to the Church in a regular and active way. However, in these times, we also have to consider those who have a more distant relationship with the Church as an institution, but still continue to hold to faith — however tenuously at times— come to church for various occasions when they perhaps re-examine their relationship with God and with faith. In our case this is probably around 50%, although we have no precise figure on that. Our task as belonging believers is to bear witness to the truth of the gospel in the world we find ourselves, in the realities and challenges of everyday life in the 21st century. With the forthcoming World Meeting of Families to be held here in Dublin with a probable visit of Pope Francis, we have tried to put more focus on the family this year and will continue this in the months leading up to the WMOF in August. We have already had two preparatory masses with a special focus on the family and these were well attended, showing a high level of commitment to the inclusive family which is central to WMOF 2018. 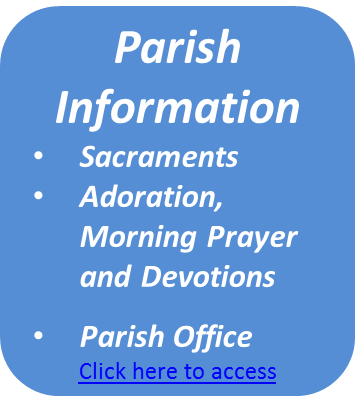 An area of parish life that merits mention this year is our formation programme Faith Conversations, which ran on Thursday nights over eleven weeks from October to December and attracted between 20 – 25 people every night. This grew out of the Alpha Course which we ran last year and will run again in February-March 2018. We were fortunate in having and excellent group of speakers on a variety of topics relating to faith today. Another significant pastoral development in the area of communications has been the addition of our streamed Church TV Service which is providing a much needed and, from reports, much appreciated service. The service has had over 13.000 followings to date, with nearly 3000 in Ireland, 1197 in the UK, 419 in the USA, but also includes a significant number of views in countries like Russia, Germany, Croatia, Poland, Italy and one or two as far away as Indonesia, Kuwait and Qatar. 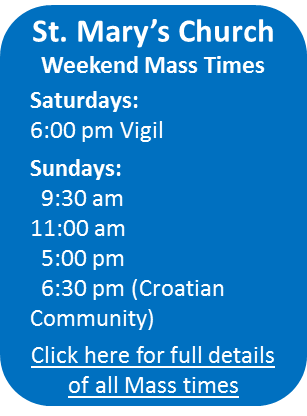 It is particularly appreciated by people closer to home who are housebound and join us daily for mass. 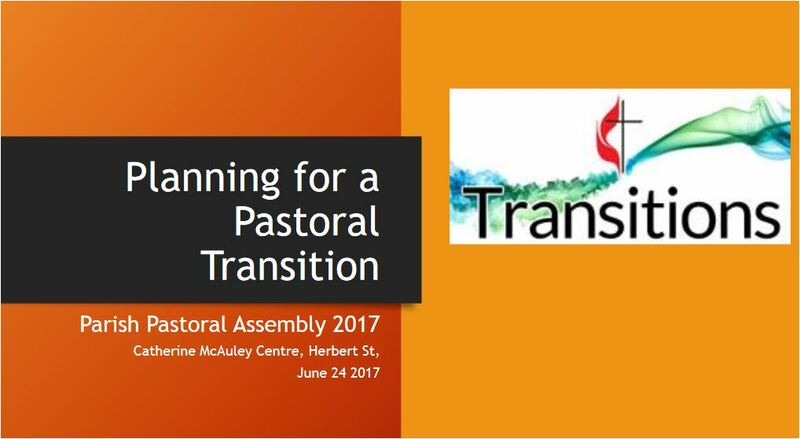 This is no doubt a very positive pastoral step and a real initiative in a wider evangelisation. The question of youth and faith remains a challenge that we struggle with and certainly requires much more attention both on a diocesan and on a parish level. Archbishop Diarmuid Martin noted this in the course of his Finn Lecture in November. We tend to see this in terms of church attendance, which has of course declined quite dramatically, but it is certainly something much deeper than that, something that goes to the root of faith and what holds our lives together. We live in a time of great uncertainty, where doubt often appears to be the default position and where public manifestations of sincere faith are frowned upon. This poses serious challenges for our society on several levels. It affects the lives of our young people who often place a high value on social conformity and are subject to strong peer pressure that makes personal reflection more difficult. It is often clear in conversations that parents are concerned about what they can pass on and what the future hold for faith thought they often feel helpless to do anything about it in a society that often makes religious belief seem counter-cultural, and even ‘weird’, to use a common young persons’ word. Young people often live for the day, and that is understandable, but they are also aware of the fact that there are deeper questions, and they are often affected by them. However it can often seem as if we are failing to address these. There are no easy answers, but it is certainly time to look at the questions. There is no doubt that the major socio-political debate in our country this year will be the proposed Repeal of the 8th Amendment. Indeed, it has already started in the media and will become more intense over the coming months. For several reasons the Church finds itself to the fore in this debate. This will no doubt be caricatured in many ways, but the truth is that it cannot simply ignore what everybody agrees is an important and complex social and ethical question, if it is to be faithful to its own deepest values with regard to the sacredness of human life. The Bishops Conference has rejected the repeal of the amendment as posing a serious threat to the unborn. Views are no doubt divided, but perhaps the prevalent view amongst Catholics in conversation is that their often complex views are not being adequately reflected in what is being proposed. Several sides in the debate have called for respect of differing views and the hope that it will be carried out in a rational manner that avoids vulgar caricature. For the believer it is a time for a reflective, thoughtful and prayerful Christianity, a dialogue with conscience and our understanding of the truth and this will not end whatever the outcome of the referendum.